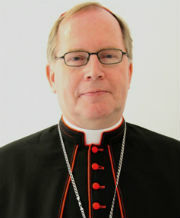 The COMECE, short-hand for the Commission of the Bishops’ Conferences of the European Community, has elected their successor to Cardinal Reinhard Marx, who presided over the 29-member organisation, which “monitors the political process of the European Union in all areas of interest to the Church”, since 2012. The seventh president since COMECE’s establishment in 1980 is Archbishop Jean-Claude Hollerich, the Jesuit archbishop of Luxembourg. Archbishop Hollerich’s mandate runs from 2018 to 2023. He has represented the Luxembourg Church in COMECE since 2011. His view on the role of COMECE in Europe is summarised in a statement he made during last month’s high-level meeting with the European Commission: “Christians are not an interest group speaking in favor of religions, but European citizens committed to the construction of Europe, our common house”. ^New COMECE preisdent Archbishop Hollerich with outgoing president, Cardinal Marx, in the background. Together with the election of a new president, the rest of the highest leadership of COMECE was also renewed. Four new vice-presidents, one less than in the previous iteration, were elected: Bishop Noël Treanor (Down and Connor, Northern Ireland), Bishop Mariano Crociata (Latina-Terracina-Sezze-Priverno, Italy), Bishop Jan Vokál (Hradec Králové, Czech Republic) and Bishop Franz-Josef Overbeck (Essen, Germany). The Dutch delegate to COMECE, Bishop Theodorus Hoogenboom (at right), auxiliary bishop of Utrecht, was elected as president of the Commission on Legal Affairs. The new presidium was officialy launched at the Mass for Europe, celebrated in Brussels’ church of Notre Dame du Sablon. Cardinal Marx hereby loses one of his multitude of offices. He still remains archbishop of München und Freising, president of the German Bishops’ Conference, member of the C9 group that assists Pope Francis in reforming the Curia, and the coordinator of the Council for the Economy, a part of the Curia in Rome. COMECE strives to maintain close contacts with the institutions of the European Union, to monitor the political processes and developments and to communicate and inform both Church and politicians about their concerns and views, with a firm basis in the social doctrine of the Catholic Church. Another inside impression – Bishop Aerts on ‘baby bishops’ school’. As a follow-up on my blog post of 15 September, Bishop Lode Aerts, appointed to the Diocese of Bruges in October of last year, looks back with enthusiasm on his participation in the “baby bishops’ school”. They were eight busy days in Rome for the 120 new bishops. And what colourful company! Imagine: the new bishop of Gibraltar [Carmelo Zammit] works for 25,000 Catholics, the new auxiliary bishop of Toronto [Robert Kasun] for 2 million. In Peru, the new bishop of Caravelí [Reinhold Nann] works with 15 generally young priests. In German Munich his new colleague [auxiliary Rupert Graf zu Stolberg] has more than 400 in active service. Some bishops have been sent to very rural dioceses. The expansive French Diocese of Limoges [Pierre-Antoine Bozo], for example, has not a single urban centre. Elsewhere, the bishops reside in great cities such a New York or the Mexican industrial city of Monterrey, [auxiliaries Heriberto Pérez and Oscar Tamez Villareal] with 4 million inhabitants. There are also worlds of difference in the area of caritas. The Polish [Arch]diocese of Czestochowa [auxiliary Andrzej Przybylski] receives throngs of pilgrims, but has no immigrants at all. The Latin bishop of Beirut [Cesar Essayan], with his small community of Catholics, tries to do something for the two million Syrian refugees and the one million Palestinians in the camps, while the population of Lebanon numbers barely 4 million! That idea about way of living was not limited to words. It was tangible during the course. The atmosphere was especially cordial and relaxed, even though the program was often very full. We started at 7:30 in the morning and did not stop until 10:30 in the evening. The participation of Secretary of State Parolin and many other cardinals did not detract from the simplicity and fraternity. On the contrary, there was always a great sense of solidarity in the conference hall and in the refectory, in the chapel and in the garden, in the transfers by bus and the discussions in language groups. Some called it a Francis effect. All the same, the cordial reception by the pope on the final day was in that line. Cardinal Reinhard Marx is planning to introduce a way of managing parishes in his Archdiocese of München und Freising which is, out of necessity, already being practiced elsewhere in Europe, La Croix reports. Whil it is standard that a parish is led by a parish priest, who is ultimately responsible for what happens in his parish (or parishes, federation or parish cluster), Cardinal Marx wants to see if that responsibility could not also be held by lay faithful. This decision stems from the dwindling numbers of priests. While some dioceses, for example in parts of Germany and the Netherlands, cluster and merge parishes to make sure that there is still at least one priest per parish, Cardinal Marx does not believe that is the way forward. An enlarged parish, created out of a cluster of smaller parishes, would require its sole priest to travel greater distances, and possibly, as financial means are stretched, churches to be closed and active parish communities to be similarly merged. A weekly Sunday Mass in every church in the new parish would no longer be a matter of course. Cardinal Marx believes that this withdrawal of the Church from her territorial roots will lead to increasing local invisibility. By appointing lay faithful to take on the responsibility for parishes where there is no priest, at least not frequently or regularly, the local church could continue its activities and remain visible. And there is no real reason to not invest lay faithful with such responsibility. It is not as if one needs to be ordained in order to wield it. Some ordained priests, the cardinal says, are not particularly suited to lead parishes, but do wonderful things in other areas, such as pastoral care and liturgy. There is an element of responsibility that comes with ordination, and that is the responsibility of the shepherd. Priests remain indispensible in the life of the Church, but they are also people, with their limitations. None can be in two places at the same time (barring those holy priests given the grace of bilocation) and there are practical limits to the size of a parish that one man can be responsible for in the way expected of a parish priest. Cardinal Marx’s plan includes an active role for his three auxiliary bishops and himself in selecting teams of lay leaders and reflecting on parish structures and organisation. Cardinal Marx’ proposal is a response to a problem that many bishops in Northwestern Europe face: dwindling numbers of faithful, and subsequently diminishing financial means to allow for the upkeep of (sometimes ancient and monumental) buildings and pastoral networks. If it is the right response is for the future to reveal. After an equal number of years, the number of auxiliary bishops for the southern German Archdiocese of München und Freising is back to three, one for each pastoral region. The new bishop, appointed today, is Rupert Graf zu Stolberg, a 46-year-old priest who has been the episcopal vicar for the Munich region since 2013 and member of the cathedral chapter, functions he will retain as bishop. Bishop-elect Stolberg was born in 1970 in Salzburg, Austria, but grew up in Passau, Bavaria. After graduating he worked at a mission station in Mexico, before returning to Germany to study medicine. He later switched to theology and the seminary in Munich and was ordained for the Archdiocese of München und Freising in 2003. He was the personal secretary of Cardinal Friedrich Wetter since 2005 and continued in that function for Cardinal Reinhard Marx when the latter was appointed in 2007. In 2011 he joined the personnel department for the pastoral regions Nord and South. In 2013, then, he succeeded retiring auxiliary Bishop Engelbert Siebler as episcopal vicar for Munich. From Bishop Siebler he took the – utterly Franciscan – habit of celebrating Christmas with homeless people. Bishop-elect Stolberg has been a vocal opponent of the Pegida movement, warning against the racist tendencies underlying their motivations. He is a member of the speakers’ council of the Munich Alliance for tolerance, democracy and justice and a founder of the city’s religious council. 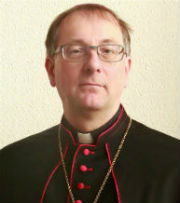 The new bishop, whose full name is Rupert Ferdinand Carl Thaddäus Antonius Maria Graf zu Stolberg-Stolberg, is of noble blood. He is a member of one of the various branches of the Stolberg family, which dates back to the 13th century. In the Holy Roman Empire they were worldy rulers over a range of counties and lordships. The Stolberg-Stolberg line has included the Catholic politician Count Joseph Theodor, the Nazi General Major Christoph and opponent of Nazism and rescuer of Jews Countess Maria zu Stolberg-Stolberg. The consecration of Bishop-elect Stolberg is scheduled for 10 December, and will undoubtedly be performed by Cardinal Marx as main consecrator and the see’s other two auxiliaries, Bishop Bernard Haßlberger and Wolfgang Bischof as co-consecrators. He has been given the titular see of Sassura, which lies in modern Tunisia. “The statistics over 2015 indicate that the Church in Germany remains, as before, a strong force, whose message is heard and accepted. There is evidently not only an interest, but also an active desire for the sacraments of the Church, as the slight increase in the number of Baptisms and marriages shows. Although the number of people leaving the Church has decreased when compared to 2014, the number remains high, indicating we should persevere in our pastoral efforts. We need a “demanding pastoral approach” which does justice to the various realities of people and communicates the hope of the faith in a convincing manner. The completion of the Synod of Bishops in the past year, as well as Pope Francis’ Apostolic Letter Amoris laetitia are important signposts. The cardinal, who serves as the president of the German Bishop’s Conference, is optimistic, and the latest numbers do warrant some measure of optimism. Many dioceses are reporting changes in trends of several years, especially in the number of baptisms and marriages, revealing that 2014/2015 is, for now a turning point in some areas. When comparing the 2015 statstics with those of 1995, 20 years ago, it becomes clear how welcome this change is. The number of Catholics is still lower than in 1995, sometimes significantly so (of note are the Dioceses of Görlitz and Magdeburg). Baptisms, however, are more frequent in some dioceses than they were in 1995. Berlin, Dresden-Meißen and Erfurt all report increases. It is interesting to see that both these dioceses and those with the most extreme drops in Catholic faithful are in the east of Germany, where secularism is most prevalent after decades of communist rule. This increase can be partly attributed to immigration, from both Poland and the further abroad. Marriages are still in crisis, however, with the numbers halved in some places over the past 20 years (Bamberg, Berlin, Dresden-Meißen, Erfurt, Görlitz, Hamburg, München und Freising, Passau and Würzburg are the only dioceses to have kept their numbers at 50% or above). “Karl Leisner, born on 28 February 1915 in Rees am Niederrhein, was already a deacon when he was arrested in 1939 for critical comments against the National Socialists, and sent to the Sachsenhausen concentration camp in 1940, and later to Dachau. 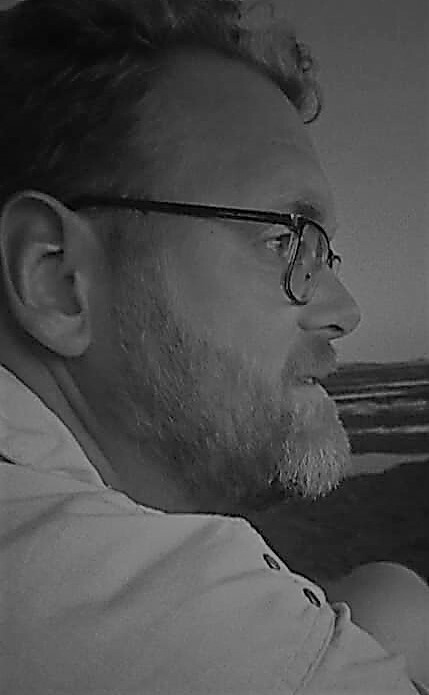 In 1942, because of the hardships in the camp, Leisner’s pulmonary disease arose again and in 1944 he was seriously ill. Josefa Mack, a 20-year-old nurse in training and postulant with the School Sisters of Notre Dame, visited the archbishop of Munich and Freising, Cardinal Michael Faulhaber, on 7 december 1944 and received from him the holy oils and other items required for the ordination. Via an imprisoned priest who had to sell produce from his herb garden in a concentration camp store, Mack brought the objects into the camp. Other detainees had made the staff, ring and mitre for Bishop Piguet in the workshops where they were made to work. The bishop who ordained Blessed Karl Leisner was the bishop of Clermont, France; Msgr. Gabriel Piguet, who would survive Dachau and is now honoured as a Righteous Gentile by Yad Vashem. He saved Jewish families by issuing false Baptism certificates. He died in 1952. Today’s memorial service brings together the archbishop of München und Freising, Cardinal Reinhard Marx with the current archbishop of Clermont, Msgr. Hippolyte Simon and the bishop of Münster, Msgr. 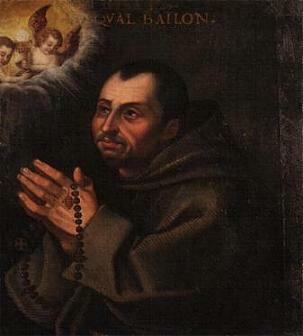 Felix Genn, who is the protector of the Internationalen Karl-Leisner-Kreises and whose predecessor, Blessed Bishop Clemens von Galen, ordained Blessed Karl to the diaconate.